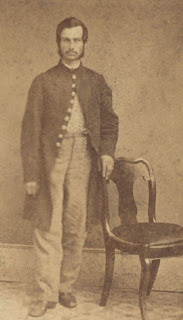 The Red Cross managed to confirm that Thomas Hill indeed served in the Massachusetts 53rd, but found no record of a Saul Hill in the same outfit. They did find a Joseph Saul, and considering Mary’s age and her earlier jumbling of General Nelson Miles as Mills Nelson, the similarity was noted as a possible link. In February 1925, an unusual signing ceremony was held at the Worcester City Farm. After being sworn in, Mary’s signature was applied to a letter describing her military service. It was sent to Washington, and a reply wasn’t long in coming. 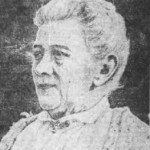 Federal researchers confirmed that several records of Joseph H. Saul supported Mary’s story. An official pension application was the next step, after which the government would research her story fully and make a determination. Existing records indicate that several applications were made (which is not unusual), but it appears that her request was ultimately denied. None of the applications contains a certificate number, which would normally appear if a pension were granted. 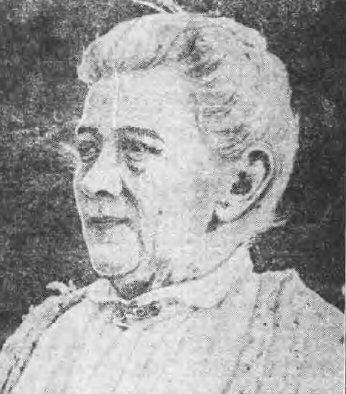 Census records were spotty, but the 1900 listing of Peter Johnson, Mary Johnson (his wife), and Benjamin Hill (noted as Peter’s father-in-law) in the same household confirmed her link to the Hill family and further supported her story. I was becoming a believer. 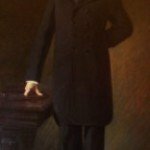 Among the pension applications was one with the heading, “Mary Hill Johnson, alias Joseph H. Saul,” and another with, “Joseph H. Saul, alias Mary Hill Johnson.” Neither contained a certificate number, which indicates no pension was granted. Digging further produced another document, a full record of Joseph H. Saul’s service?including his death in 1912 at a veterans’ facility. 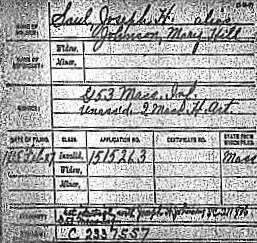 The basis for Mary’s claim was that no records of Saul existed after his military service because he was, in fact, Mary Hill Johnson. So now, Joseph H. Saul’s detailed death record quashed every bit of that claim. Or so I thought. Persistence left me stunned at the next discovery, days later: a second Joseph H. Saul had enlisted at the same place (Gardner, Massachusetts), and with the same birth entry (“abt 1844”). But this second Joseph H. Saul enlisted in November 1864, two years after the first Saul. Further jumbling the picture: it appears that the records for both Sauls are mixed on the official listing under “Military History” from the veterans’ home where he died. All things considered, it looks like Mary was being truthful. It seems a bit much to believe that an 85-year-old woman, with no access to public records, could have concocted a story with such accuracy in the details and so much supporting evidence. It is documented that others have pulled it off (a woman passing as a man and serving in the military), and it looks like Mary Hill Johnson of Plattsburgh is part of an exclusive club. But I’ll keep digging for more evidence.